New Delhi is known for historic sites, parks, shopping, museums, and fun & games. 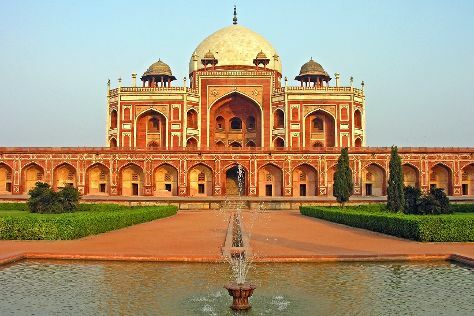 Your plan includes some of its best attractions: admire the landmark architecture of Humayun's Tomb, indulge in some culinary diversions at a local gastronomic tour, contemplate in the serene atmosphere at Friday Mosque (Jama Masjid), and take in panoramic vistas at Qutub Minar. To see reviews, photos, more things to do, and more tourist information, read New Delhi trip itinerary planner. Expect a daytime high around 47°C in May, and nighttime lows around 30°C. Wrap up your sightseeing on the 22nd (Wed) early enough to travel back home.